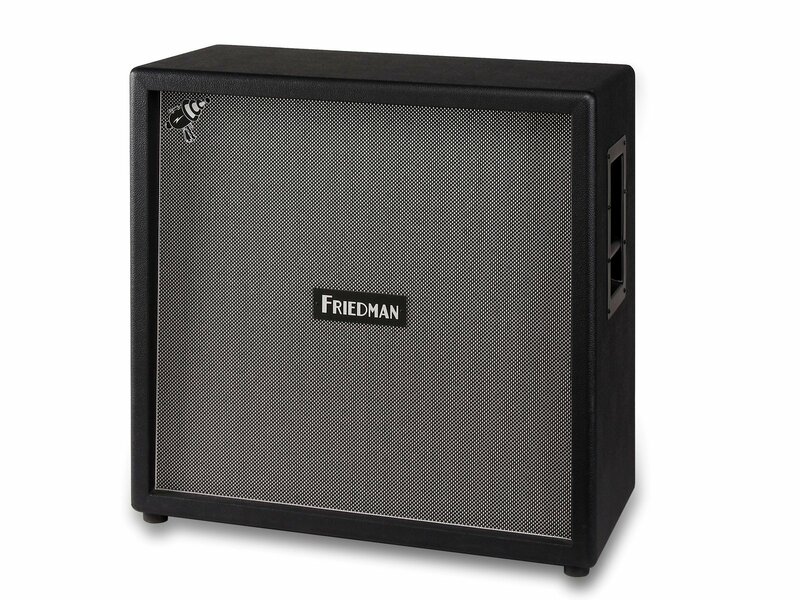 The Friedman SS-412 is a 4×12”, closed-back speaker cabinet which utilizes tongue and groove Baltic birch construction to deliver the bass, mid response and great sound you would expect from a Friedman cab. It is was designed to match the Steve Stevens signature head. The SS-412 features beautiful black Tolex, a salt and pepper grill cloth and Steve Stevens’ signature Ray Gun logo for an unmistakable look. Loaded in the two bottom slots are two Celestion V30’s. The Vintage 30 sound has been captured on thousands of recordings from a diverse range of notable players. It features enormously detailed and complex overtones, a warm low-end, a famously rich vocal mid-range and a beautifully detailed top-end. This cab delivers a wonderfully intricate Vintage 30 crunch, revealing the complexities found in hand-wired boutique amps. 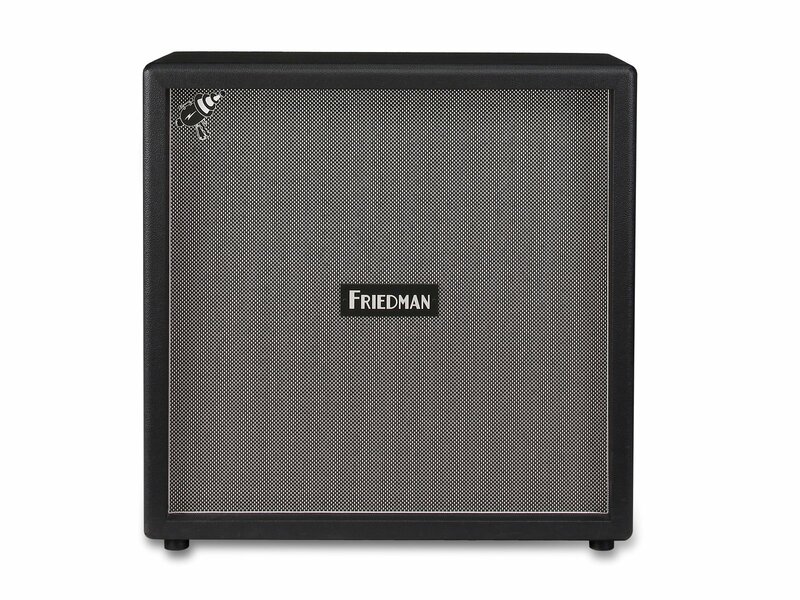 The combination of these two different speaker models provides the warmth of the Greenbacks and the power and thump of the V30’s, creating a formidable speaker cabinet that is a perfect match for the Friedman SS100 amplifier. 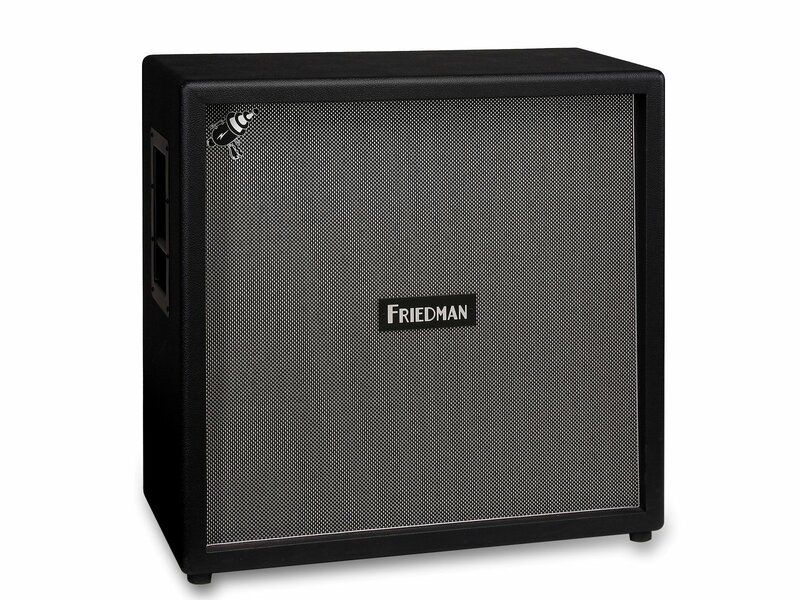 As with all Friedman cabinets, oversized 12-gauge speaker wire is soldered between the speaker and terminal, assuring that you capture every ounce of valuable tone. The SS-412 is handcrafted with pride in the U.S.A. and designed to withstand the rigors of the road.